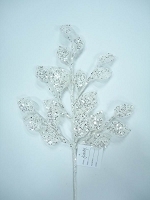 This snow tipped natural looking garland, helps bring in the cheer and wintery feel of the outdoors in to you. Let it hang from your banisters or your stairway. This is a great way to bring in the cheer for the New Year and Holiday season. 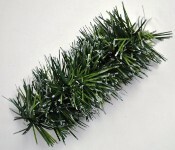 UV stabilized for your outdoor decorating needs. 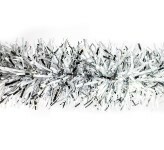 This is stuffed with PVC at a ratio of 8' of material to 1' of finished garland. The diameter is 3". This is sold in sections of 25'.